Hurricane Harvey hit Houston, Texas, in August of 2017. 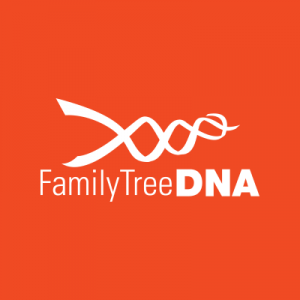 The Family Tree DNA Lab (FTDNA Lab) is involved with processing DNA test kits from not only their customers, but also customers of other companies who sell DNA test kits. As such, many people are wondering how Hurricane Harvey affected their DNA test kit and results. On August 31, 2017, Family Tree DNA wrote a very informative post on their Facebook page. In the post, they stated that the FTDNA building was relatively unharmed during Harvey. They lost power, but their generators were busy keeping the lab and DNA storage safe. The loss of power is the reason why some people who placed orders in the days before Hurricane Harvey did not receive an email about their order. In the Facebook post, FTDNA indicated that they expected power to be restored on Friday, September 1, 2017. FTDNA notes that emails are backed up due to the server being off during the storm. They anticipate it might take a few extra days to get caught up. FTDNA states that your DNA is okay. They had taken precautions to protect your DNA from hurricanes and more. Those who have recently bought a test can ship it back. FTDNA says the post office told them they should expect about a week delay. It is anticipated that FTDNA will receive customer’s returned kits by Friday, September 8, 2017. Those who want to order a test, an add-on, or an upgrade, can place their orders online. If you have already ordered an add-on test or upgrade, FTDNA does not expect your results to be delayed by more than 4 or 5 days from the average fulfillment time. MyHeritage also points out that the roads are flooded and FTDNA employees cannot commute safely to work. As such, the lab has been closed until the water recedes and the main roads open.